Lucas owns roughly 2% of Disney currently. 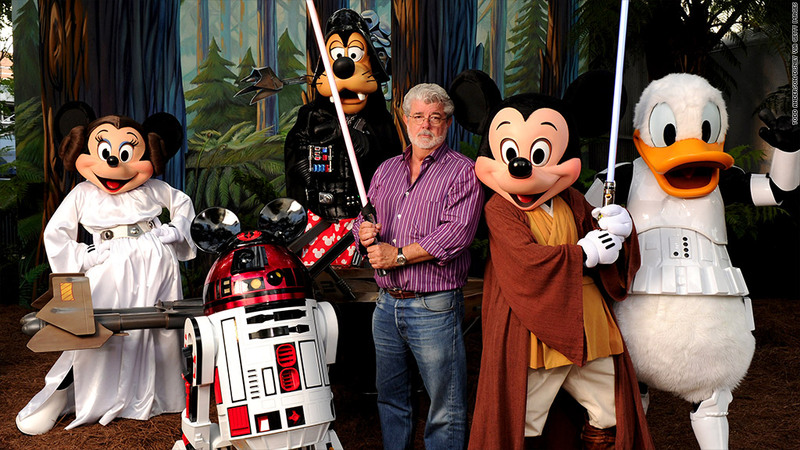 In a filing with the Securities and Exchange Commission on Wednesday, George Lucas' trust registered his 37.1 million Disney (DIS) shares for possible sale. The Star Wars creator received the shares, worth $2.02 billion at Wednesday's closing price, as part of Disney's $4 billion acquisition last year of his production company, Lucasfilm. The move doesn't obligate Lucas to sell his shares immediately, and Lynne Hale, a Lucasfilm spokeswoman, said no sale is planned. "George does not have any current intent to sell his stock," she said. Lucas said following the Disney acquisition last year that he planned to donate "the majority" of his wealth to education-focused charities. "For 41 years, the majority of my time and money has been put into the company," Lucas said. "As I start a new chapter in my life, it is gratifying that I have the opportunity to devote more time and resources to philanthropy." Disney plans to release a new trilogy of Star Wars films starting in 2015, and CEO Bob Iger said this week that the company is also planning several separate spinoff films based on individual characters.